In this article, we will learn how to install Docker and run the containers locally. If we want to run our web application, we should have a hosting server and on top of that, we need to buy the hardware to run our application. On the other hand, if we want to run another application, that application must have different dependencies, like OS and hardware capabilities to respond to the request. In this case, we might go for virtualization; we have to create two different virtual machines to run each of our applications. The problem here is that we should have memory allocation for each application. Also, the bootup time of the OS is very high. To avoid memory overhead, OS patching, and other issues, we have the Containers concept. 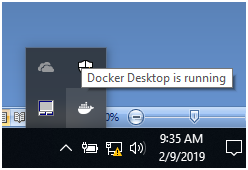 Instead of vitalizing the hardware, we are vitalizing the OS here, i.e., container image, when we are running the application on the top the container image, the application itself will think it’s running on the dedicated server. 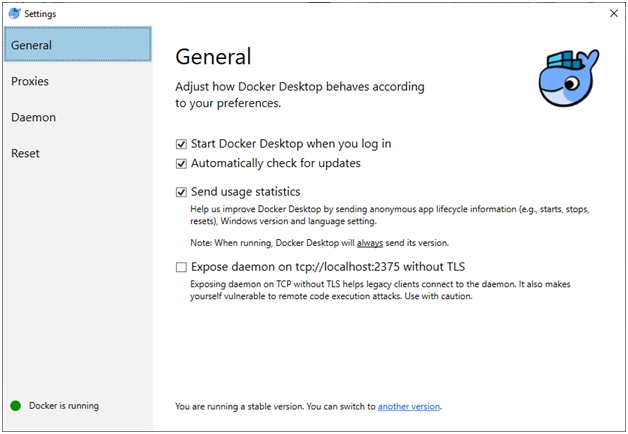 Docker is the platform to deploy the containers when we are deploying the .NET application. In general, we might have .dll or .exe files on the build, whereas in the container, we will have the container image that will have all the other dependencies to run our application. Once the installation of the docker is done then it will be showing in the system tray. Below are the few docker commands for reference to run the commands locally. If you want to update the application which is running inside the container, then we are deleting the container and adding a new one instead of updating the previous version. If it’s the case then what will happen to our data which is associated with the container? That’s where docker volumes come in, which means we can be able to mount the container by using the docker commands. When we are running the above-mentioned command locally, then it will take some time to download the copy from redis repository, then run the docker ps command to list the containers which are running locally. 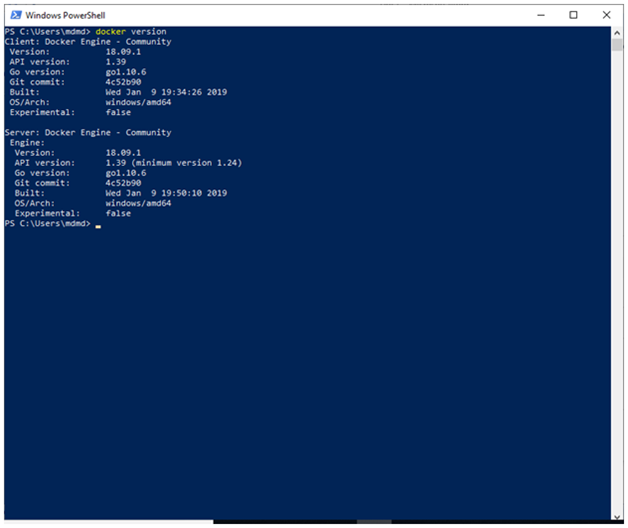 In the below output we could see the status and port ,Id ,name etc. Next run the command docker logs to know about logs of the container which were installed previously. If you know the name of the container then pass the name as parameter or pass the id as the parameter in the docker logs command.